Shaftsbury is a rural gem of a town in southern Vermont, chartered in 1761. You can travel down many a country road from the New York border to the Green Mountains of Vermont and still be in Shaftsbury, a thriving community whose spirit and pride are evident in all aspects of the town’s life from school to government to parks and neighborhoods. Shaftsbury’s history is evident in its many historic old homes which are still standing and well preserved. 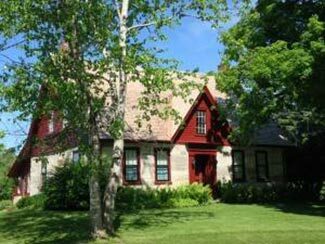 Be sure to visit the Robert Frost Stone House Museum, where the poet wrote “Stopping by Woods on a Snowy Evening” in 1922. Lake Shaftsbury State Park offers picnicking, nature trails, swimming, and fishing. Stop by The Chocolate Barn on Rte. 7A for a homemade ice cream treat, and visit Clear Brook Farm across the road for organic produce and flowers. Visit Shaftsbury and discover the best of Vermont!